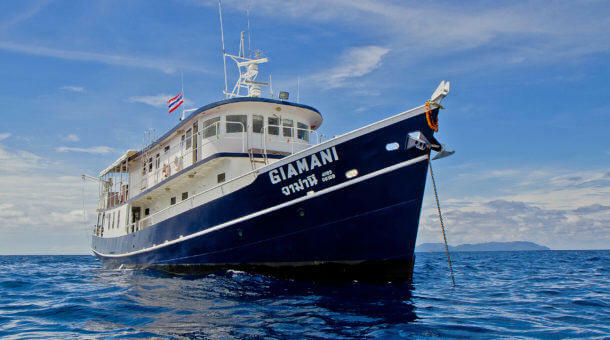 A single day trip to the Similan islands may not be enough, but maybe you don’t have time for a longer liveaboard trip, so we also offer a great value 2 day / overnight trip to the Similans with 7 dives with a night on board the South Siam 3 or South Siam 4 liveaboard. The boats sleep 28 divers in twin or double aircon cabins. Trips include dives at the Similan Islands with some dives at Koh Bon (good chance of manta rays) if your trip starts Tuesday or Saturday. With 7 dives it’s much better value than a 2 dive day trip. 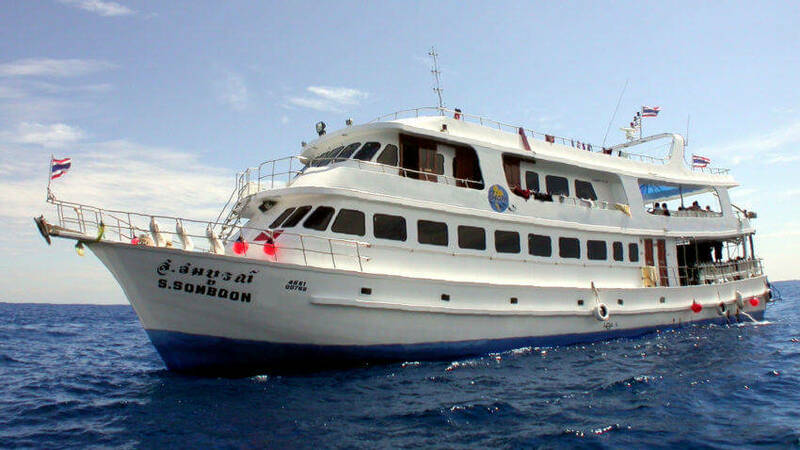 The Similan Islands 2 day (overnight) trip includes all meals, all non alcoholic drinks and there’s a night dive too. 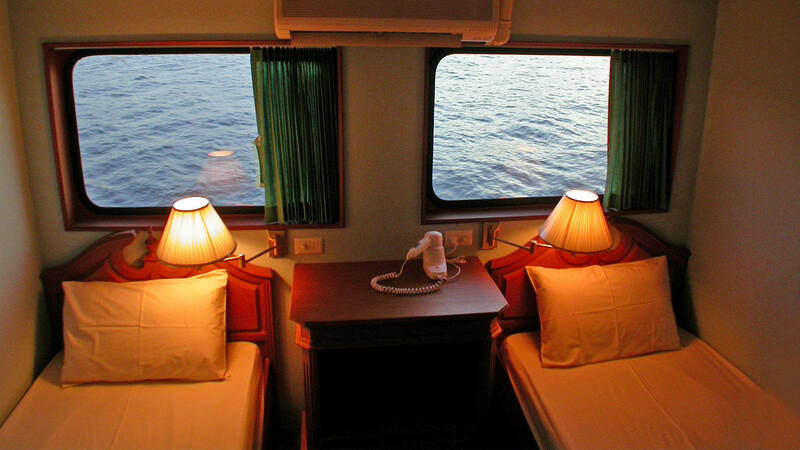 The cabins are comfortable and airconditioned. You can start 5 days per week during high season, late October until early May. The South Siam liveaboards stay in the Similan islands area, and you have transfer via Khao Lak (Thap Lamu port) by speedboat. You can also stay longer on these boats – 3 day/2 night trips which include Richelieu Rock are possible 4 times per week. Note that these are low budget trips. 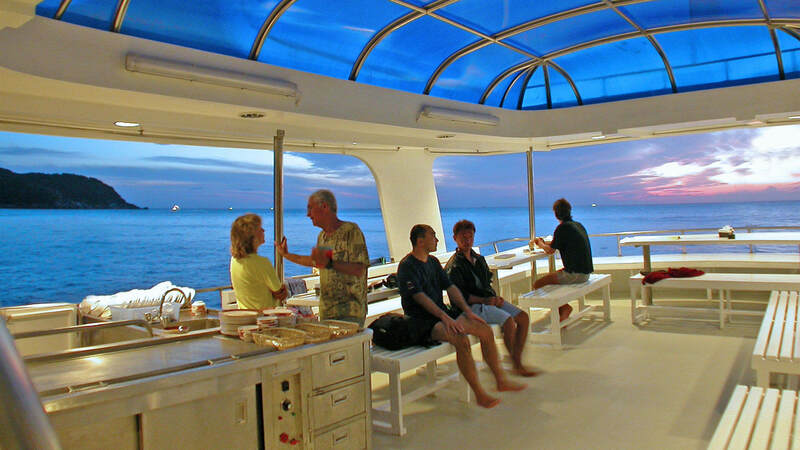 The boats are comfortable enough, but can be crowded at busy times as you have liveaboard divers plus day trippers on board during the day. Prices include breakfast (2**), lunch (2), dinner (1), non alcoholic drinks, and hotel transfers from Patong, Karon, Kata beach or the south end of Khao Lak. Transfer from or to other areas about 500 Baht per person. Equipment rental extra 500 Baht per day for a full set (BCD/regulator/fins/mask/wetsuit). National Park Fee 900 Baht to pay cash on the trip. 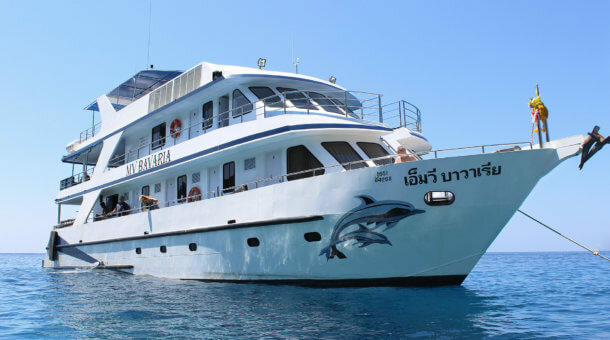 may need to pay extra for a private divemaster @ 2,000 Baht per day. **Breakfast is available at the port on departure day before boarding the speedboat, usually just some toast and coffee, you may want to bring something with you to eat on the minibus ride. Note : This is an approximate itinerary. Trips start every day except Wednesday and Sunday. 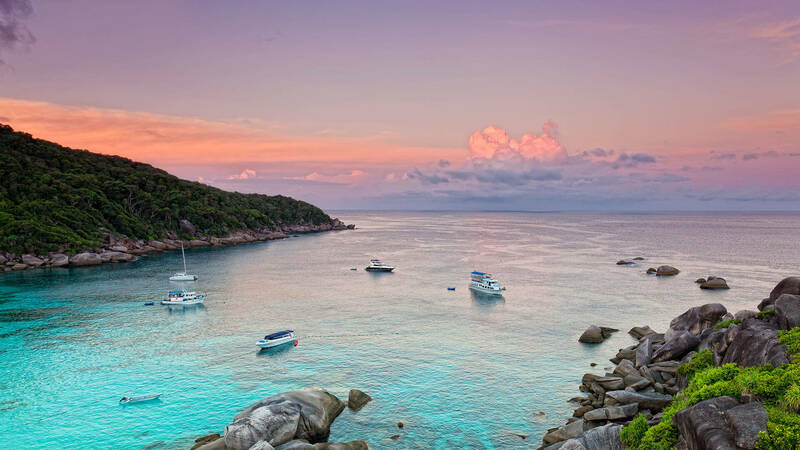 If you are looking for an overnight Similan Islands trip, please use the contact form below. 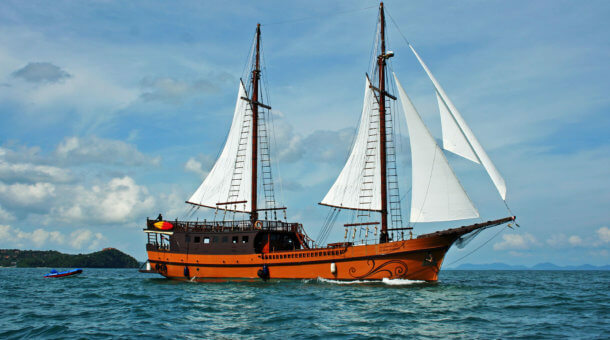 We also offer Similan Islands day trips and longer liveaboards. Happy Diving!